Although Lake Las Vegas Resort features a triple-threat of lush, pristine golf courses, there really is more to do here than just tee it up. The area offers, of course, fabulous recreation on and around the Lake itself. 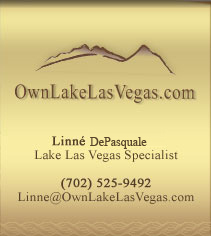 And, you might be surprised by what else you can do for fun in Lake Las Vegas. Read below for some helpful information and links to various activities going on at The Resort currently. Two yachts are available for use by Resort guests and residents. Accommodating as many as 140, both offer climate-controlled cabins and spacious sun-soaked deck space with incredible vantages. + The LaContessa is Coast Guard Certified for up to 140 guests and is ideally suited for cocktail and dinner parties, weddings, anniversaries, and relaxing cruises along the 10 miles of shoreline with luxury homes, world-renowned resorts and the enchanting rainbow-shaded desert. The LaContessa features its own full galley, admiral’s cabin with elegant bar and adjacent convertible deck, and plasma screen televisions for complete audio/video capabilities. The Lady of the Lake is a more intimate yacht suited for parties of up to 40. Social events, cocktail affairs, weddings, and swim parties are ideal for this Lady. Awaiting you at the picturesque waterfront of MonteLago Village, the gondolas are ready to take you to a world of romance and beauty. Board your private gondola and sail away to quiet reveries while your boat glides across mirror waters reflecting the surrounding mountains and clouds, tinted by the crimson colors of a Red Rock Sunset. Be sure to steal a kiss as you pass under the Pontevecchio Bridge and your gondolier sings classic love songs! Create a memory to last a lifetime at Lake Las Vegas with a romantic gondola cruise. For information or for reservations, call (877) 446-6365. Enjoy the peaceful serenity of lake activity. Explore the secluded coves and scenery on the water. A variety of watercrafts, including electra-crafts, kayaks, and sailboats, as well as boating and fishing supplies, are available for rental to resort guests and residents through the MonteLago Village Dockhouse, or the Marina located in the private SouthShore community. For information or for reservations, call (702) 568-6024. Beneath the clear blue waters of Lake Las Vegas flourishes a diverse population of bass, trout, bluegill, bonefish, and sunfish for the exciting sport of fly-fishing. Outdoor Source, operated by Master Guides John and Caroline Campbell, offers corporate and family fly-fishing programs and weekend fly-fishing lessons for residents and guests of Lake Las Vegas Resort. For information or for reservations, call (702) 499-8921. Lake Las Vegas Resort's MonteLago Village offers a spectacular backdrop for concerts, such as the “Stars on the Lake” concert series on the resort's grand floating stage, the “Jazz on the Lake” series, “Movies al Fresco” on the water, as well as varied Art, Wine, & Food Festivals, and seasonal & holiday celebrations. Anchoring MonteLago Village, the 40,000 square foot Casino MonteLãgo offers a unique gaming atmosphere in a comfortable, Old-World Italian setting. Themed to resemble a 17th century Tuscan winery, Casino MonteLãgo operates as a 100% coinless casino, with plenty of 100% payback video poker games and other favorite reel and slot machines, as well as popular table games such as craps, roulette, three-card poker and of course, blackjack. The state-of-the-art Sports Book features all digital high-definition big screen plasma TVs to showcase a multitude of sporting events with the best in quality picture and sound. directly at (702) 939-8888 or (877) 553-3555. The black lava mountains and abundant nature preserves and National Park surrounding the Lake Las Vegas Resort provide a perfect playground for naturalist athletes & adventure-seekers. Pristine hiking and cycling trails are free for all to enjoy, as are natural formations for rock-climbing enthusiasts. Learn what it means to be genuinely pampered at Lake Las Vegas Resort. Two world-class spas indulge and invigorate your senses. This award-winning 30,000 square-foot spa at The Ritz-Carlton includes 24 relaxing treatment rooms, a full-service salon, personalized fitness and wellness programs, a broad array of specialty skin treatments and massages, complete salon services, private wellness and beauty consultations, pilates, yoga, and other movement activities, and a modern fitness facility. The Ritz-Carlton Spa also offers guests a chance to experience New Age treatments inspired by the water and desert, yet rooted in the tradition and sophistication of ancient and modern Italy. treatment appointment, call (702) 567-4600. The 9,000 square foot spa features nine treatment rooms, a full-service beauty salon, and complete fitness center. Massages, skin therapies, body wraps, body scrubs, and moisturizing facials are all included on the spa menu. The sophisticated beauty salon offers a wide range of pampering services, including hair styling and coloring, makeup application, manicures, pedicures, and body treatments. The fitness center boasts a complete line of Life Fitness® cardio and strength training equipment, including treadmills, lifecycle, cross-trainer, and muscle-specific weight and free-weight stations. treatment appointment, call (702) 567-6000. IronGirl is excited to add an International and sprint-distance triathlon to the 2010 Iron Girl National Women's Event Series calendar. The Iron Girl Lake Las Vegas Triathlon will take place on Saturday, May 15, 2010, at Lake Las Vegas Resort, a residential and resort destination situated on a privately owned, 320-acre lake located 17 miles from the Las Vegas Strip. The Lake Las Vegas Resort provides the perfect Iron Girl event experience with first-class hotel and spa amenities at one of the top destinations in the U.S. The Iron Girl Lake Las Vegas Triathlon will make for the ultimate girls getaway. The 3rd annual Iron Girl Lake Las Vegas International Triathlon will consist of a 1.5K swim, a 40K bike (1 loop) and a 10K run (1 loop), and will attract women ranging in age and fitness level from the state of Nevada and nationwide. The International-distance course will start with a wetsuit-legal swim in the pristine waters of Lake Las Vegas, continue with a challenging bike route through Lake Mead National Recreation Area and end with a run course along the grounds of scenic Lake Las Vegas Resort. In an effort to embrace women of all athletic levels and abilities, Iron Girl will also offer a Sprint-distance triathlon, consisting of a 400M swim, a 10.6 mile bike (1 loop) and a 3.1 mile run (1 loop).